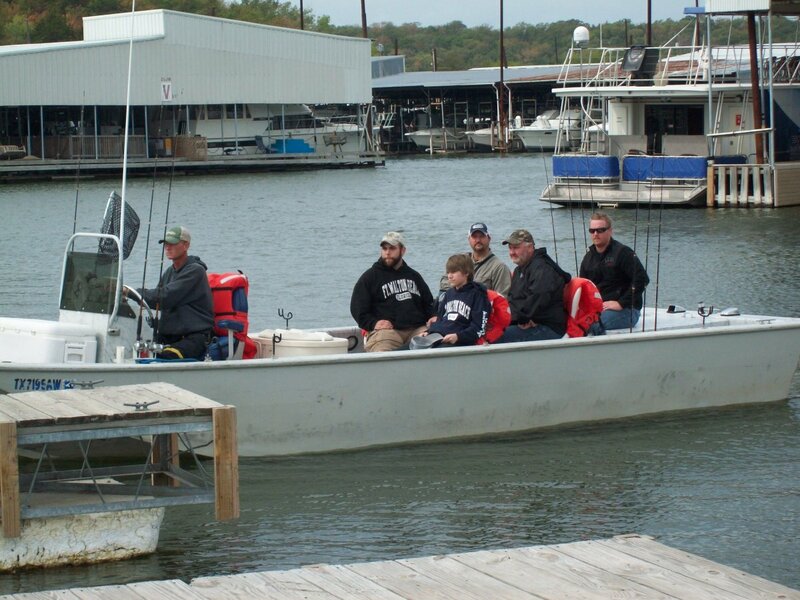 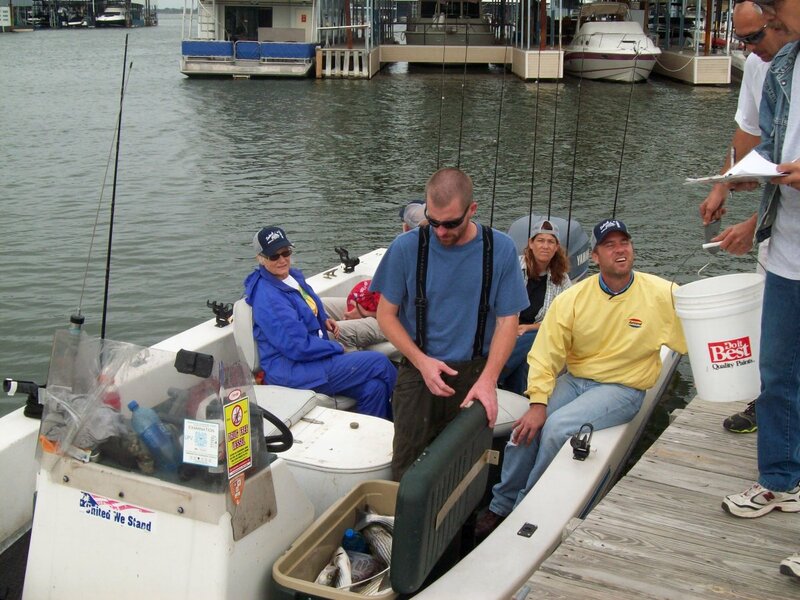 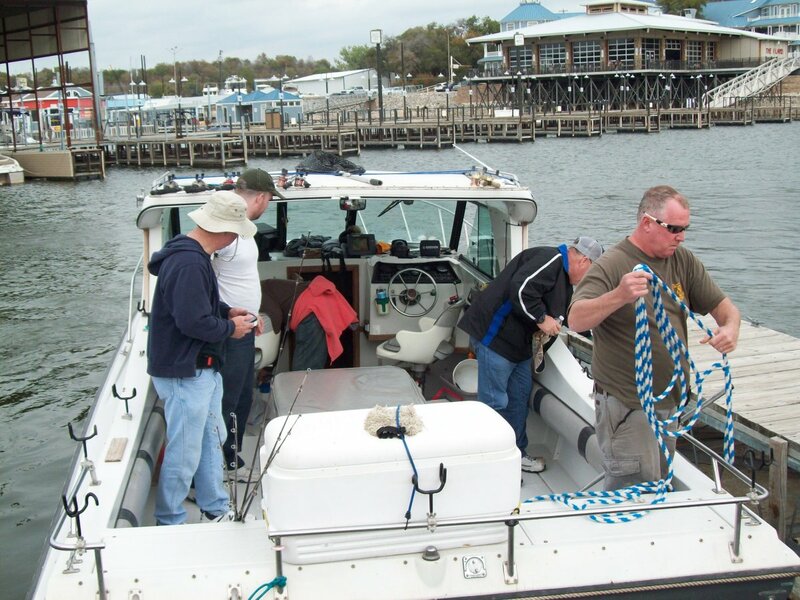 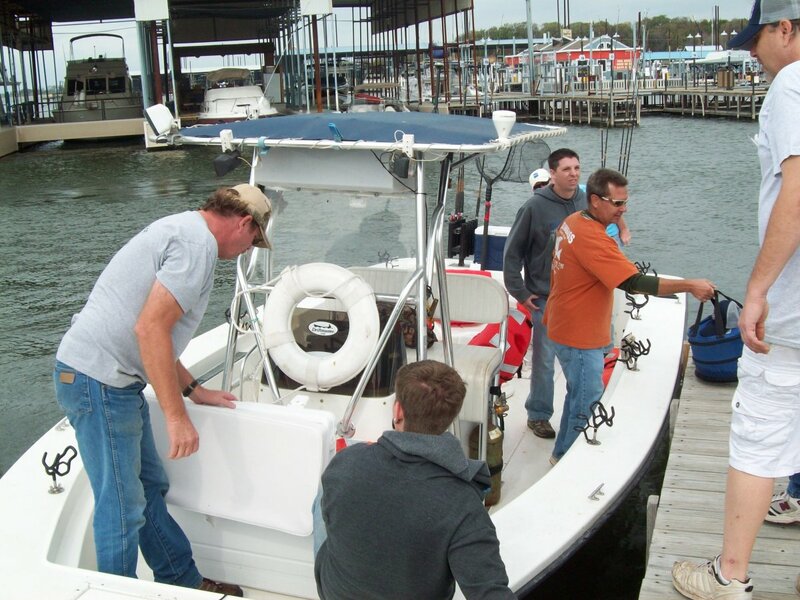 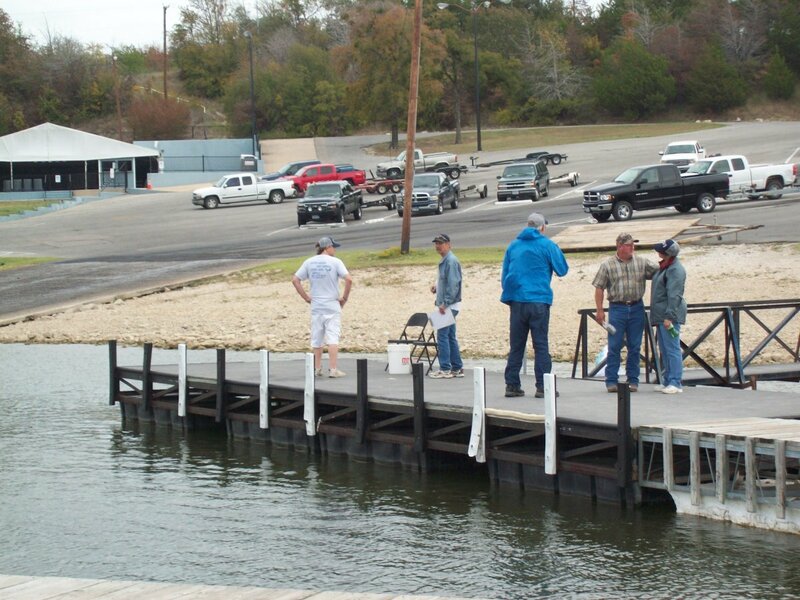 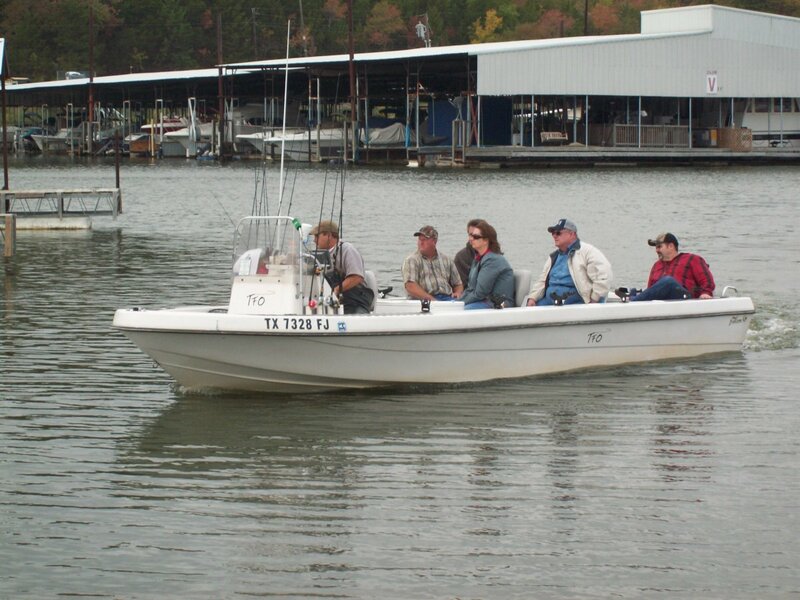 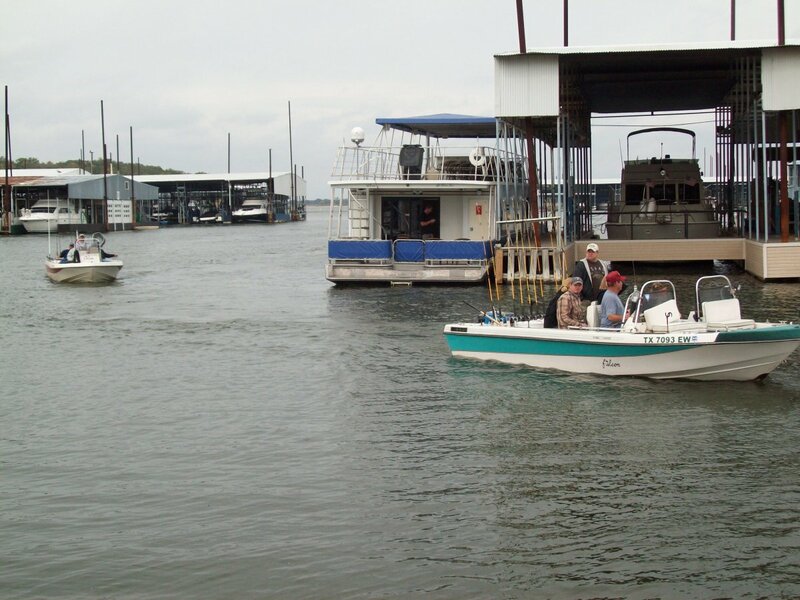 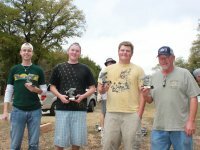 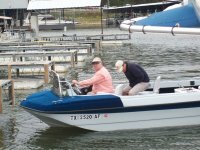 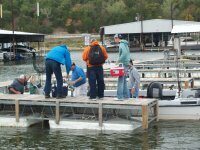 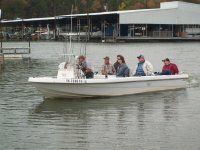 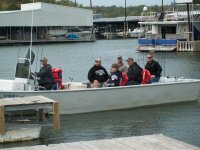 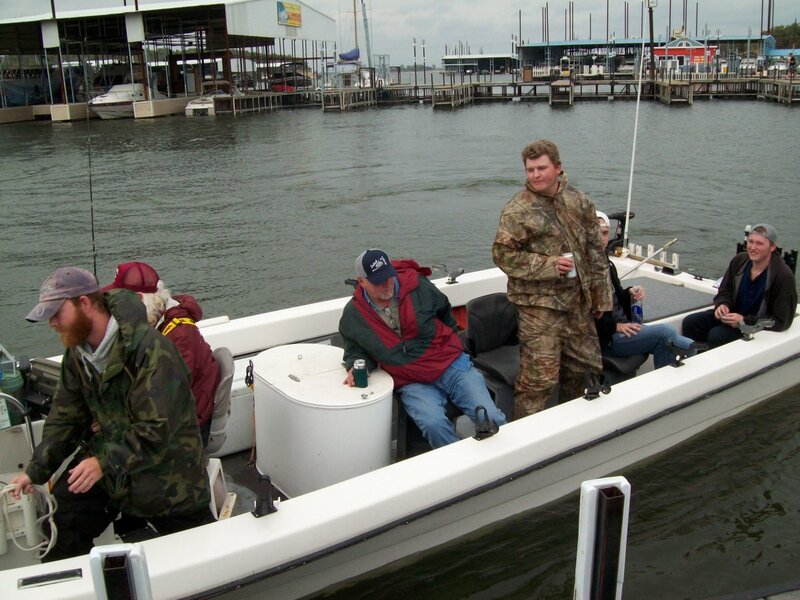 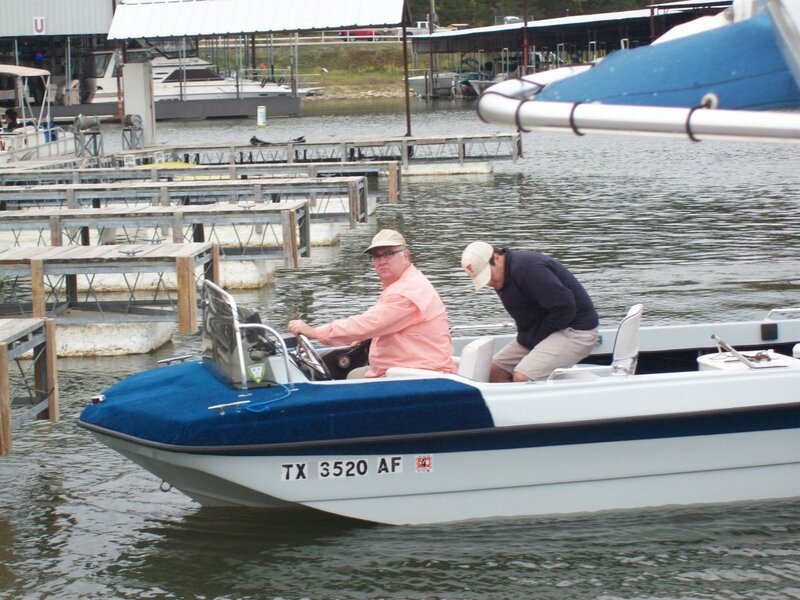 Striper fishing, October 13, 2012 was slated for good times on Texoma, and all had a good time. 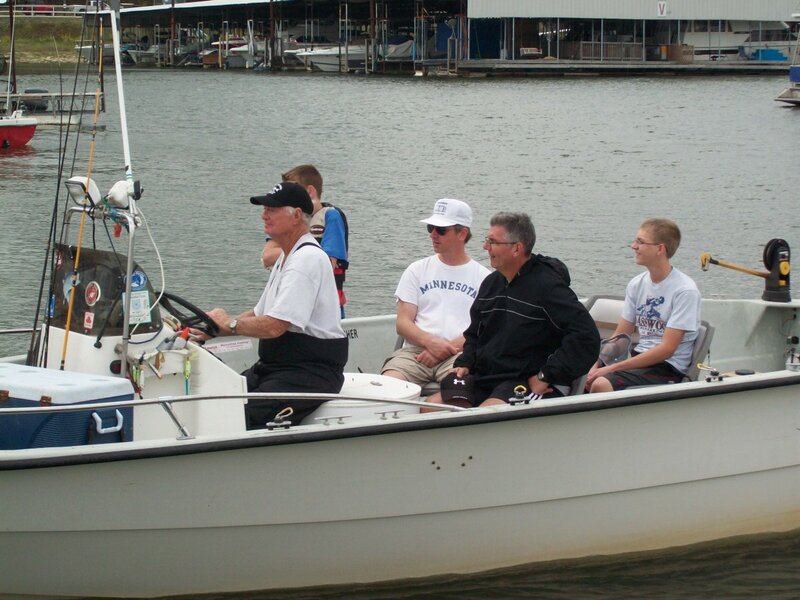 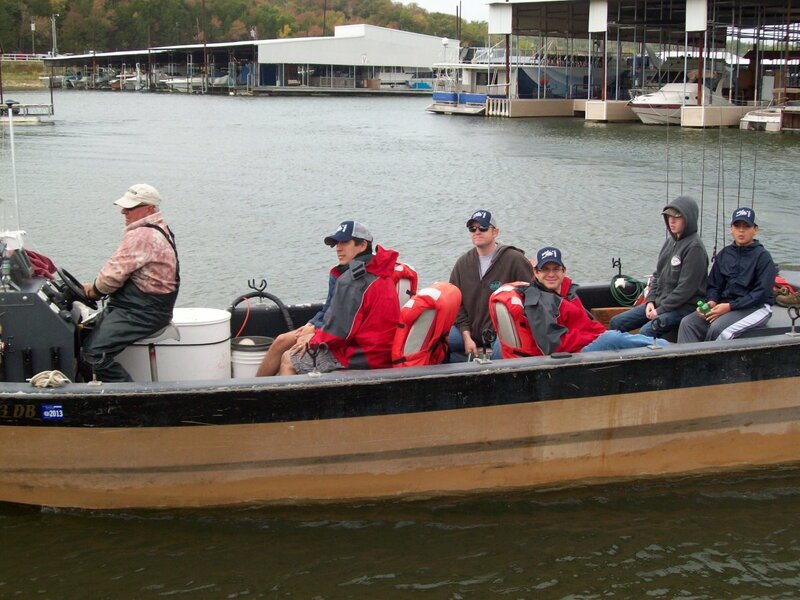 This year was my second year herding cats, which is what it is like trying to get everyone in a boat. 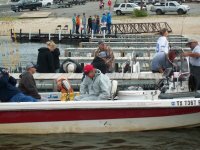 I want to thank Gina Dodson for her assistance in lining up the fishermen with the guides, Melissa Calhoun and Mary Sprecher for the photos and the selection of caps. 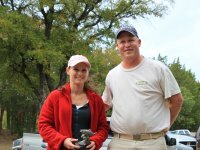 Gina has been a great help in insuring that the invoices for the tournament are handled in a timely manner. Bruce Long, Nick Kollasch, Herb Stansberry assisted with gathering the names of the fishermen making my job easier. 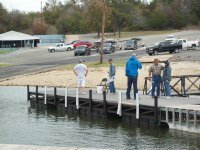 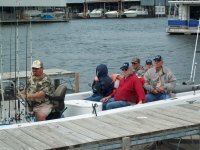 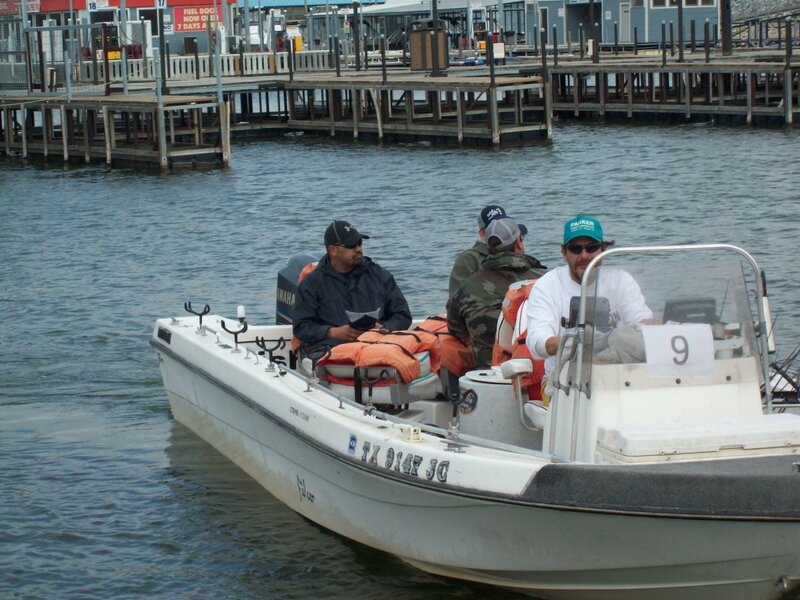 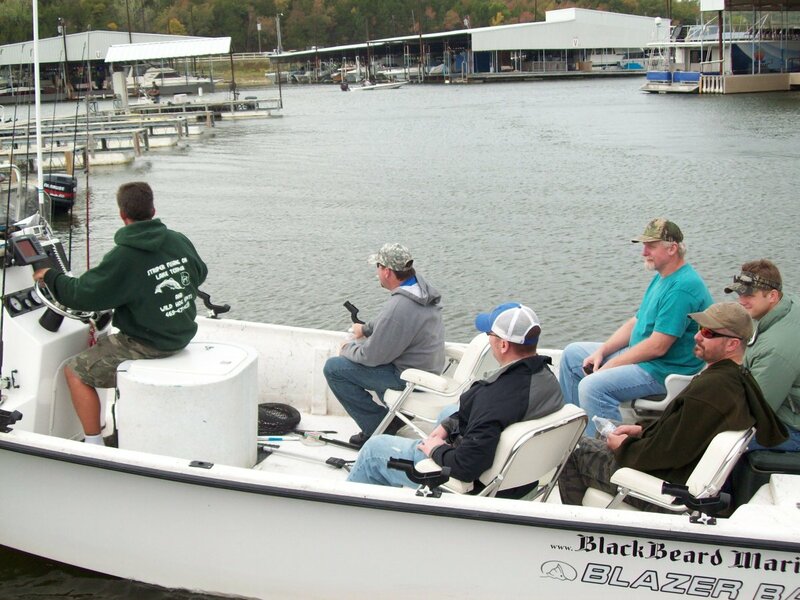 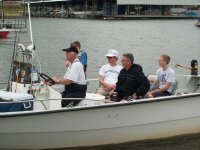 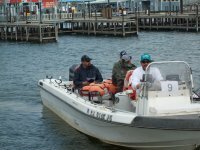 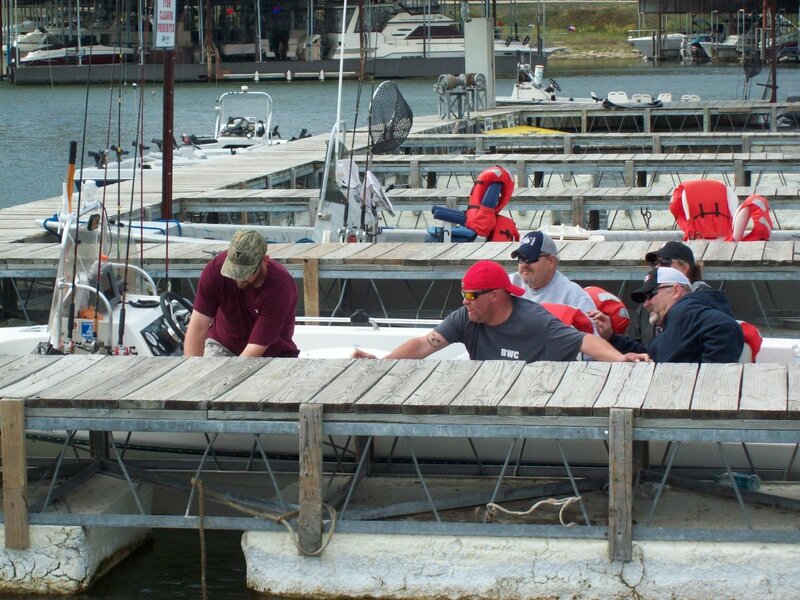 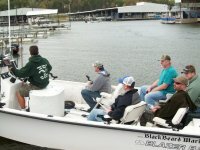 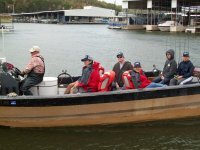 There were 174 fishermen that signed up to fish, Saturday morning there were a few no shows for a total of about 165. 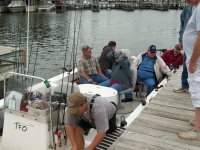 I tried to talk to each person that I could after the fishing and were sitting around enjoying the fresh fried fish meal. 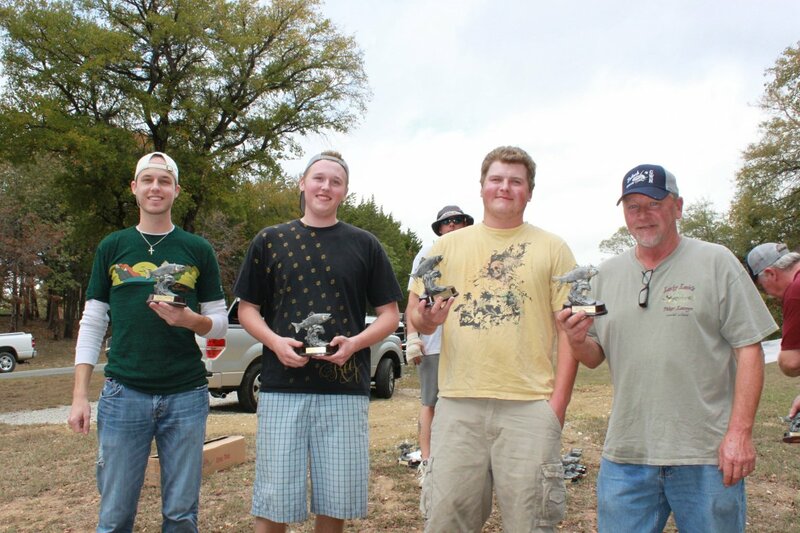 If anyone had anything to say it was “fun”. 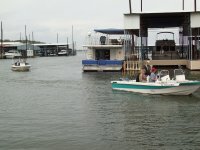 The day was pleasant as far as temperature was concerned, it was quite windy though. 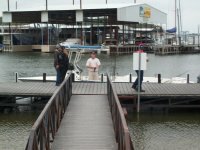 We were fortunate that there was not any rain. 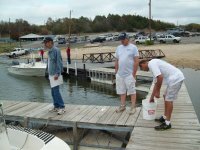 Everyone that I talked with had caught some sort of fish, from sand bass, crappie, catfish, drum, to stripers. 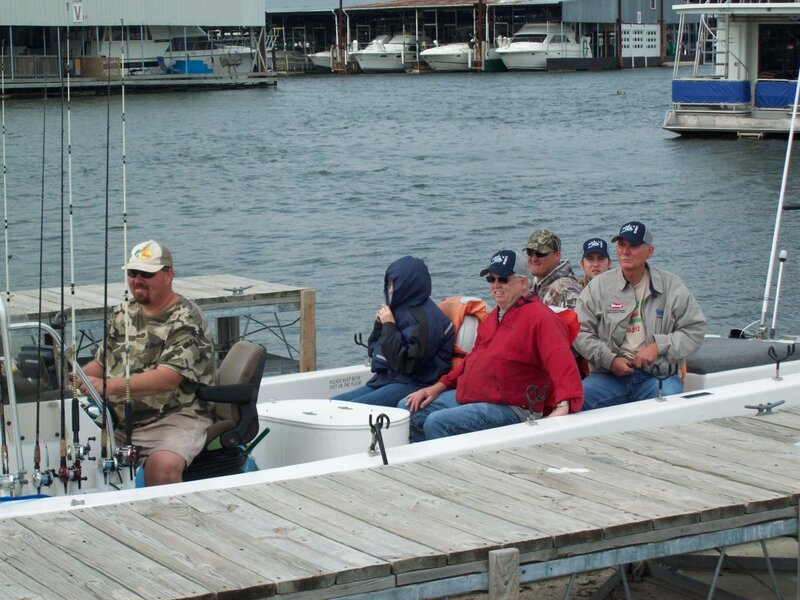 Some were lucky enough to catch a limit of striper while others were lucky to make a stringer. There were big and small fish caught, but “fun” was the order of the day. 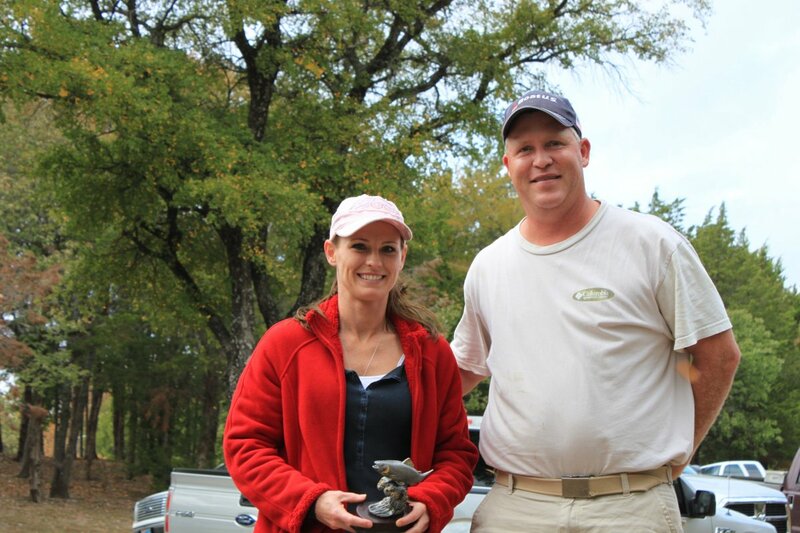 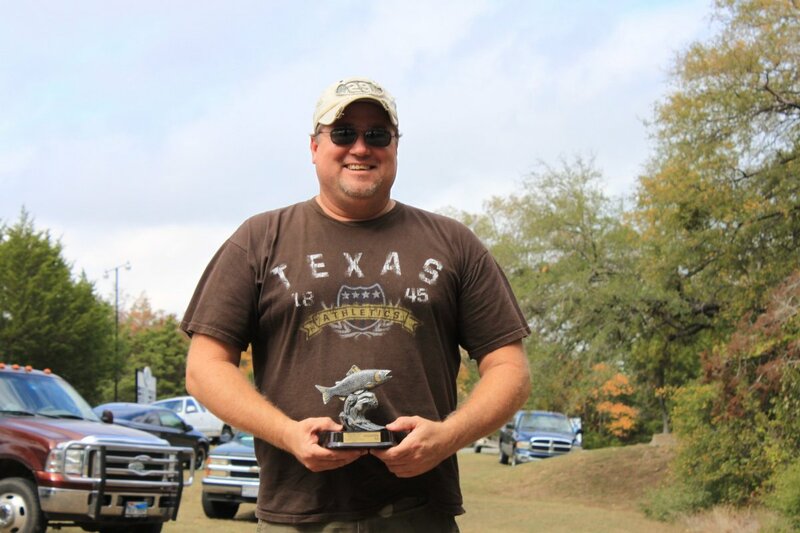 I want to thank all that participated in the Eighteenth Annual Entech Striper Tournament. 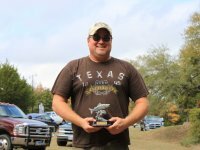 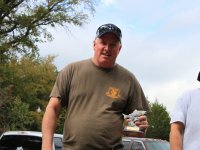 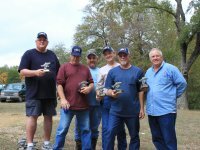 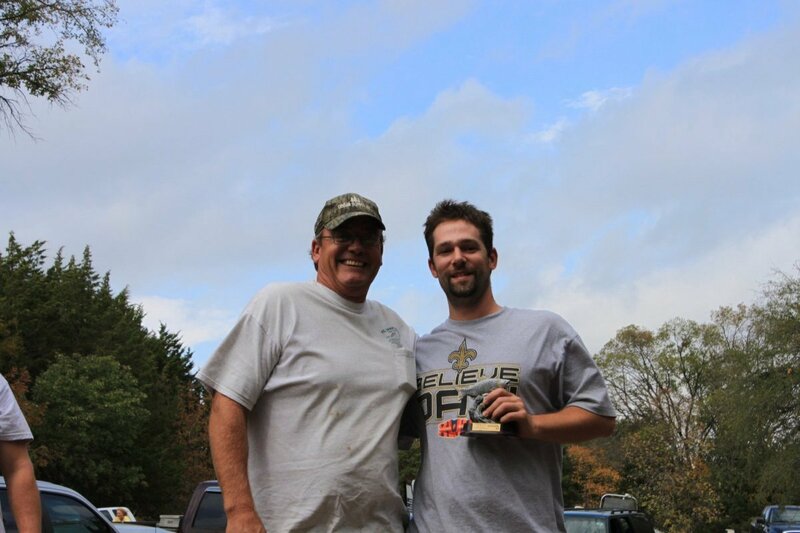 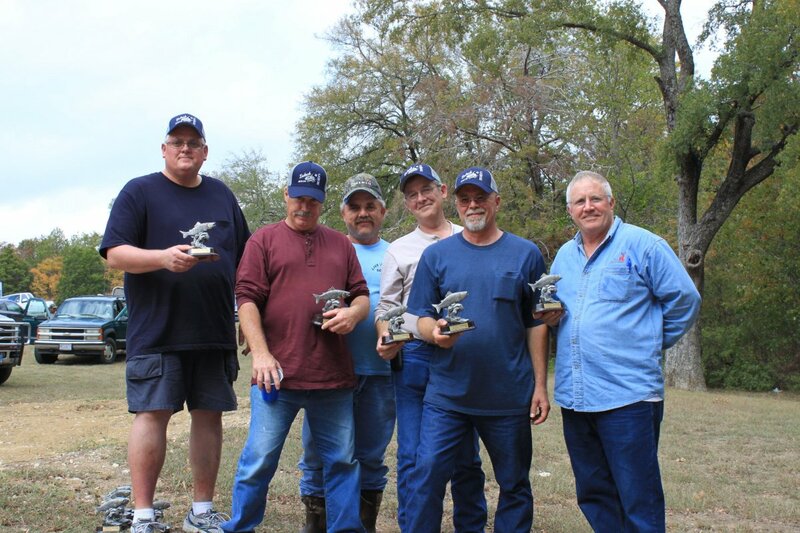 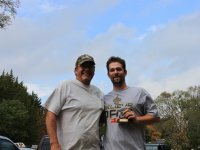 I would hope that all had a great time and would take time to thank the Doug Keeter at “Striper Master Guide Service” for aiding and making this tournament a success. 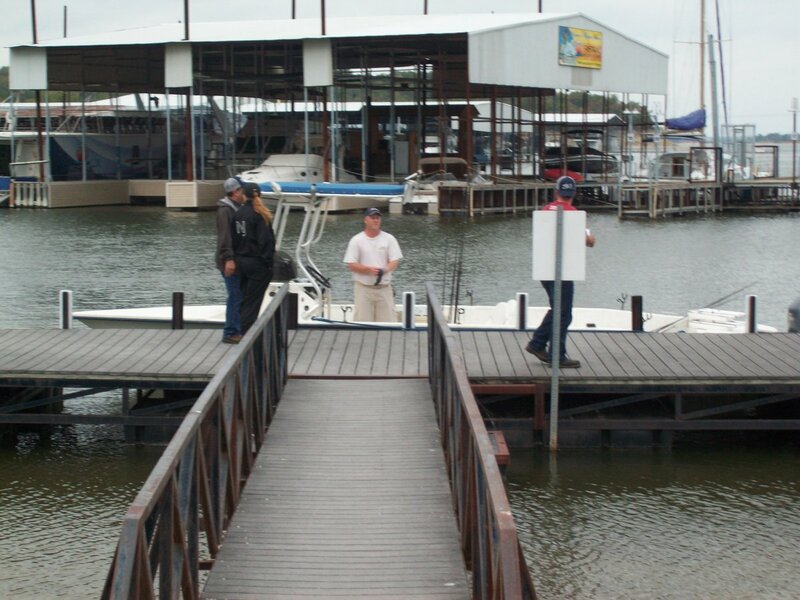 Guide Derrell McGee with 28.70 pounds.